ENGLAND face the possibility that they might have to play France in the qualifying groups for the 2014 World Cup finals, which are drawn in Brazil. Fifa will confirm that France have not regained their position among the top nine ranked international teams in Europe, meaning they are in the second pot for the qualifying draw in Rio de Janeiro. The new Fifa world rankings, which will dictate the seedings for Saturday’s draw, will be announced today, with no changes to the top nine in Europe. That means Spain, Netherlands, Germany, England, Italy, Portugal, Croatia, Norway and Greece will make up the top-seeded teams. 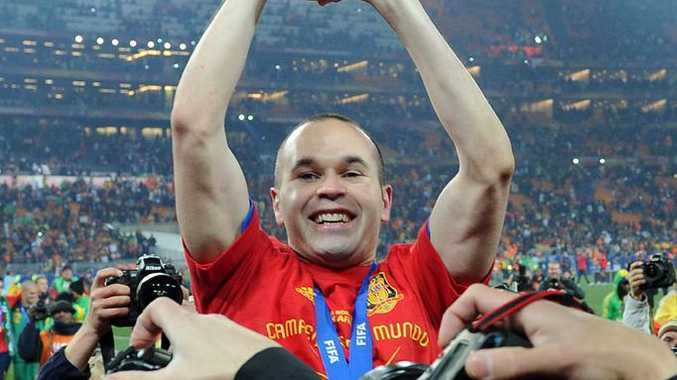 There are 53 competing nations in Europe from top-ranked Spain, the world No 1, down to Andorra and San Marino, all of whom will be drawn in eight groups of six and one of five for World Cup qualifying. There are 13 places available for European teams in the 32-team World Cup finals and the quality of the second-seeded pot of nine European teams is high. As well as France, England could potentially draw Montenegro, who drew 0-0 at Wembley in the current Euro 2012 qualification; Russia, who beat England in qualification for Euro 2008; Sweden or Turkey. The nine group-winners will qualify automatically for 2014 with the best eight runners-up playing a two-legged play-off for the remaining four places. The formula for the Fifa rankings is not straightforward, based on four years’ worth of results but assigning greater weight to matches played in the previous 12 months. The strength of the opposition and the importance of the match are also taken into account. England, who have won only five of their nine games in the last 12 months, are currently maintaining an improbable fourth place in the overall world rankings. England lost to France in a friendly in November at Wembley. Despite the disastrous World Cup finals endured by France, the consensus after November’s game was that they had recovered quicker than Fabio Capello’s side. The England manager will be in Brazil this weekend to represent the Football Association even though it will be his successor who is in charge by the time qualification starts in September 2012. Fifa has also decided, due to “delicate political situations,” that Russia and Georgia will not be drawn in the same group, and nor will Armenia and Azerbaijan.